Louisville Therapist: Sue McCullough - Therapist 80027. Send A Message To Sue. Sue takes your needs, passions, and beliefs seriously. Succeed! Unite your drive for growth and creativity with Sue's far-reaching vision, energy and right-on guidance. Form a partnership stronger that what's holding you back. Sue McCullough helps you recognize your talents and then develops strategies that utilize those talents so you can grab a hold of the life you deserve. You have the right to be happy! Safely dig into your past. Sometimes you have to go through the uncomfortable process of digging out the weeds in your past before you can get busy cultivating your future. Sue offers you a safe and confidental place in which to do this work. Your strengths and talents are unique to you. Sue will help you enlist them to help you get what you need. Sue received a Master of Social Work degree with an emphasis on mental health from the University of Houston Graduate School of Social Work, and certification in life coaching from the Institue for Life Coach Training. 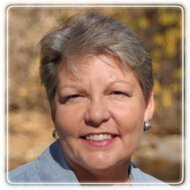 She is also an advance practitioner of Brainspotting and PSYCH-K.
Sue is passionate about counseling and coaching, being a wife and partner, raising her daughter, being a Girl Scout leader, and her church. She loves geology, singing, performing, sewing, hiking, and whales. She complete the Pikes Peak Challenge in 2007 and 2010, an intense day-long climb to the top of Pikes Peak to raise money for traumatic brain injury research. Thank you for all the wonderful ways you helped me get my life back on track. You helped me to focus on the important things, so I could make my life blossom one small step at a time. You are everything I hoped I would find in a life coach. I couldn't have gotten where I am today without your help. A million thanks. Sue, without your recognition of my incessant need to express myself through writing and your deep belief in my creativity, I wouldn't have had the courage or stick-to-it-ness to publish my first book of poetry. Thanks for shoving me in the right direction!